“Maria Badstue conducted with a strong, vivid and delightful narrative” (Jyllands-Posten). On the opera platform she made her Swedish debut conducting 14 performances of Don Quixote by Massenet at FolkOperan in Stockholm. Other engagements include a return visit to Copenhagen Phil and to Romania with the Ploetsi Philharmonic Orchestra. 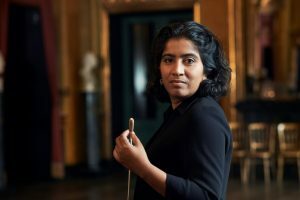 In Denmark she has now worked with most of the professional orchestras including Odense Symphony, South Denmark Philharmonic and Aalborg Symphony. She made her official Danish debut in 2013 with the Copenhagen Phil. Other recent highlights have included the Gothenburg Symphony, Malmö Symphony, Helsingborg Symphony, Orkester Norden, Romanian Radio Chamber Orchestra, Kristiansand Symphony and Oltenia Philharmonic. In the summer of 2017 Maria visited her birth country for the first time, where she was invited to conduct the production of `Il Matrimonio Segreto´ at the Royal Opera House of Mumbai. This led to a fruitful collaboration with the Symphony Orchestra of India Chamber Orchestra, who immediately re-invited her. This new relationship with the musical scene of India will be intensified still further with annual visits already planned for the next few seasons. She made her opera conducting debut in 2012 with the production of `ANGELO – La Opera´in Copenhagen, and in 2015 she was invited to conduct the production of `A Dolls House´ by John Frandsen with Athelas Sinonietta. Other productions have included `Heroes & Villains´at the Danish National Opera and Hindemith´s Cardillac assisting Michael Boder at Wiener Staatsoper. Maria Badstue is rooted in the Finnish training of conductors: between 2007-2013 she was mentored by professor Jorma Paula, working with him closely in both Finland and abroad. She earned her masters degree in 2014 studying with Jukka Pekka Saraste and Ole Kristian Ruud at the Norwegian State Academy, and received important impulses from masterclasses with Bernhard Haitink and Lucerne Festival Strings. Maria’s work with Jorma Panula not only led to an introduction to Esa-Pekka Salonen, whom she subsequently assisted on projects with NDR Elbphilharmonie and Philharmonia Orchestra, but Jorma Panula also asked her in 2017 to become his teaching assistant in his work with young conductors. In 2012 she founded `Nordic Masterclass for Conductors´ in collaboration with Jorma Panula and South Denmark Philharmonic. Now in it´s 6th season Nordic Masterclass is firmly established as one of the most attractive conducting masterclasses in Europe. Maria Badstue proved her international level as a prizewinner of The 5th Lovro von Matatic Competition with the Croatian Radio & Television Orchestra. 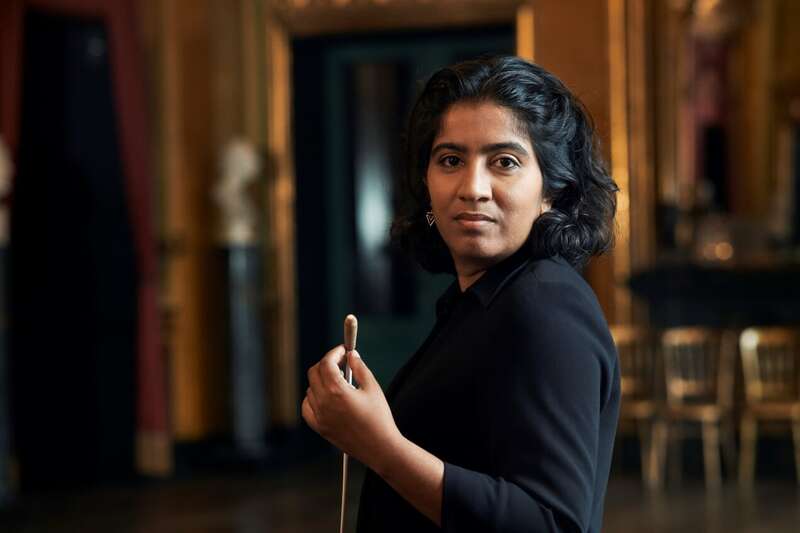 She has been awarded the Sonning Talent Prize, Augustinus Foundation Jubilee Grant, Hämeenlinna City Orchestra´s Conductors Stipend and she has twice been presented with the Arne Hammelboe Scholarship Grant awarded by the Danish Conductors Association. On Stage represents Maria exclusively in Denmark, Sweden, Norway, Finland and Iceland.